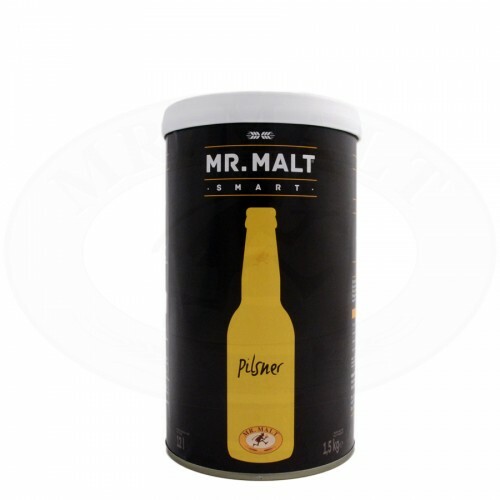 “Pilsner” beer kit for the production of 12 litres straw yellow beer with a creamy foam. The bitter hop aroma rules over the taste, prevailing as aftertaste too. The resulting beer is sparkling, dry and slightly bitter, with a light malt flavour.